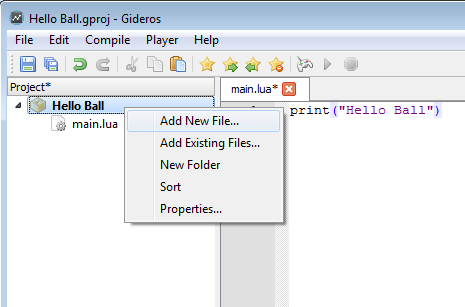 Name your file “main.lua” and click OK.
At the first part of this tutorial, we just want to run our code in “Gideos Player” and print “Hello Ball” to the console. 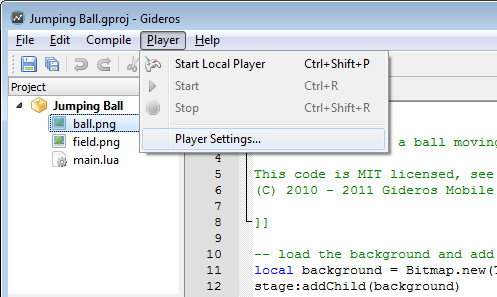 Now select “Player→Start Local Player” to start Gideros Player. 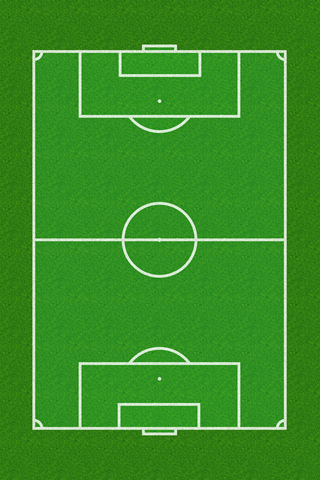 After “Gideros Player” opens, the start and stop icons become enabled. Now you see the output of your project at the “Output” panel. 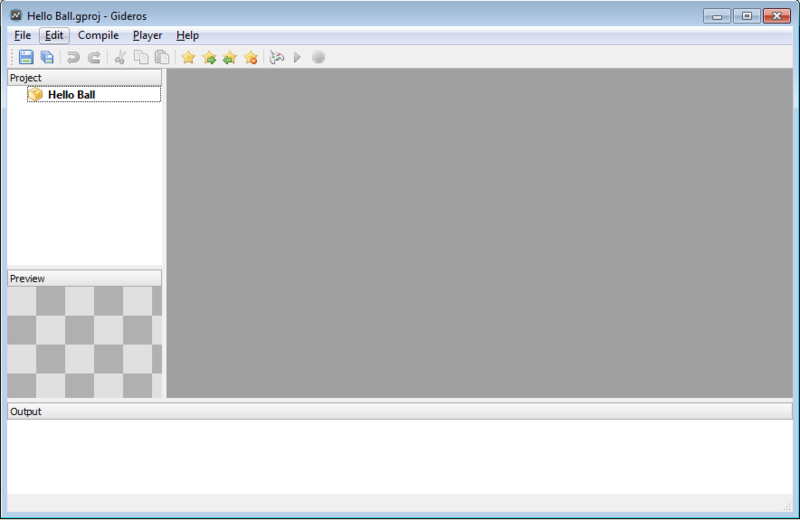 Now let’s add some images to our asset library. 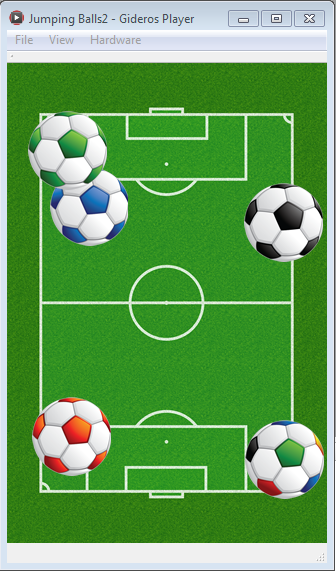 Download field.png and ball.png and copy these images to your project directory. 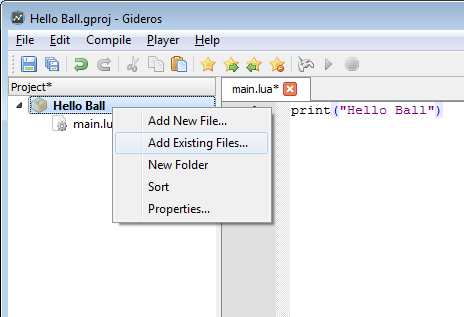 Then, right click the project name at Library and select “Add Existing Files…” to add your image files to the project. To run project on IOS device you need to build and install the GiderosiOSPlayer XCode project (GiderosiOSPlayer.zip) comes with the installation. You need to be an approved Apple Developer for iOS and need to install the XCode with iOS SDK. To run project on Android device you need to install the GiderosAndroidPlayer.apk (comes with the installation) on your device. To install the Windows Phone player on a Windows Phone you must first unlock you Windows Phone. 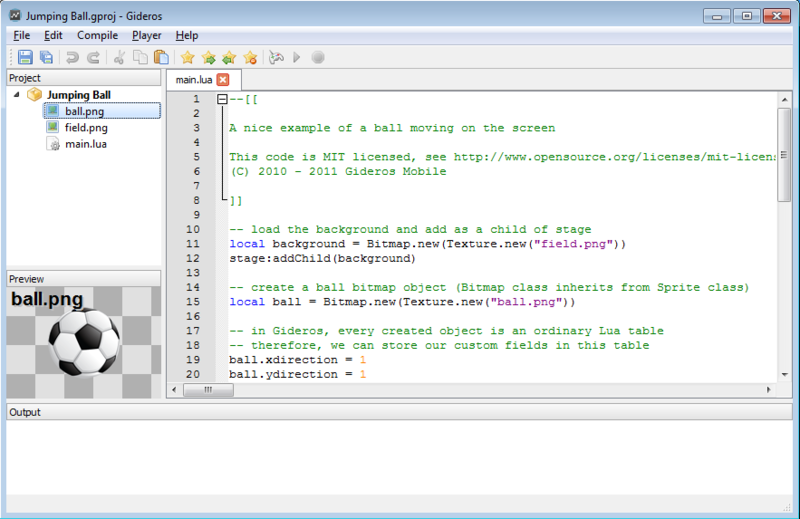 Run the program "Windows Phone Developer Registration (8.1)". It comes with Visual Studio (Windows Phone SDK 8.1 folder), connect your Windows Phone using a USB cable and click Register. After that you can unzip WindowsPhone player and deploy it using Windows Phone Application Deployment and selecting giderosgame.WindowsPhone_yy.mm.dd.0_arm.appxbundle. 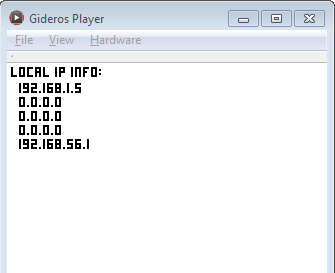 After installing GiderosPlayer to your device, open the player and enter the IP of your device (which will be shown in Gideros Player) from the menu “Player→Player Settings”. 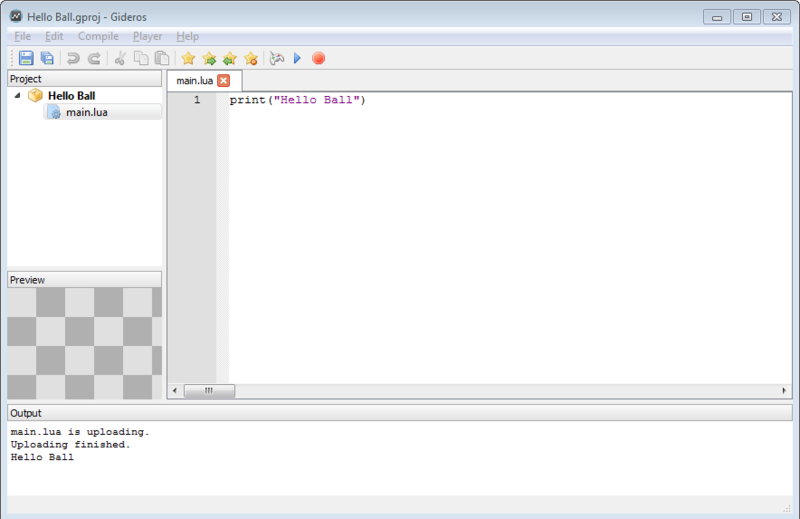 When the Start and Stop buttons appear enabled, press Start to run your code on device.